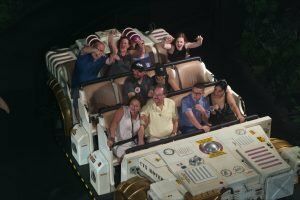 Our monthly Walt Disney World update brings you all the latest news and rumours from Walt Disney World. 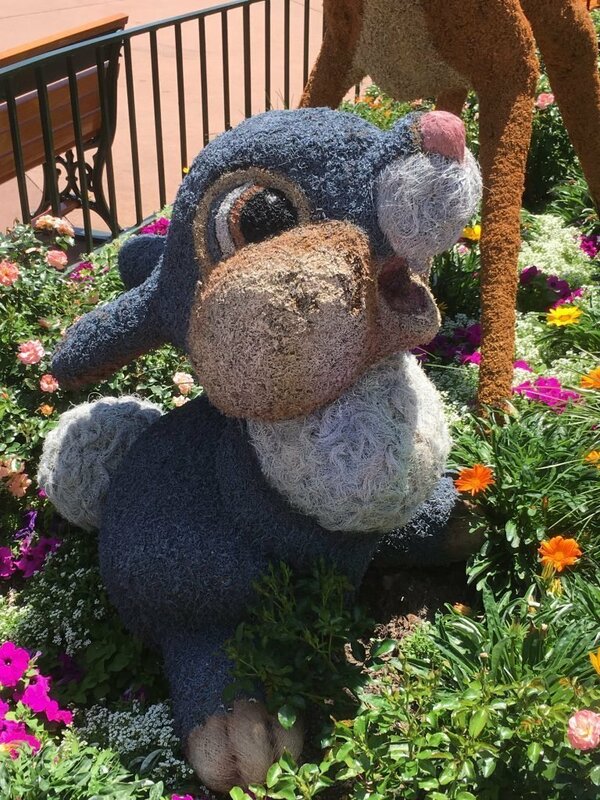 Our Walt Disney World News & Rumours February 2019 features smart speakers, Flower & Garden Festival, Disney’s Riviera Resort, new character meets and more! The Walt Disney Company have released their first quarter earning for 2019, and the theme park division appears to be doing rather well. The various price increases towards the end of 2018 will undoubtedly have helped, but also room occupancy was even higher. Despite increasing revenues, it seems likely there will be a further increase to park admission prices very soon. You can read the full Walt Disney Company earnings report here. We think this latest development looks rather clever, and are looking forward to perhaps trying it out. A pilot is running at Disney’s Yacht and Beach Club Resort where select rooms will have access to a Smart Speaker. Guests will be able to obtain information surrounding weather, bus times, park hours and play music through the speaker. Mickey Mouse was 90 on the 18th November 2018, and Disney parks around the world are still celebrating the special event. 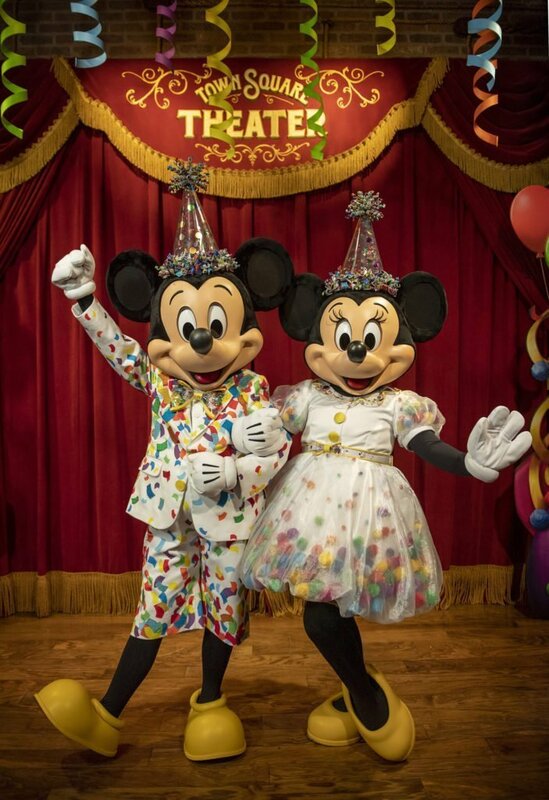 Mickey and Minnie’s Surprise Celebration is now open at The Magic Kingdom and is offering some unique character experiences. Perhaps the most unique experience is Mickey & Minnie are now meeting guests together at Town Square Theater in some rather special outfits. Plus every day the flag pole will offer a surprise guest encounter. Do you remember the fire to the Maleficent float in Disney’s Festival of Fantasy Parade? The float has now returned to the parade, with improved safety features. 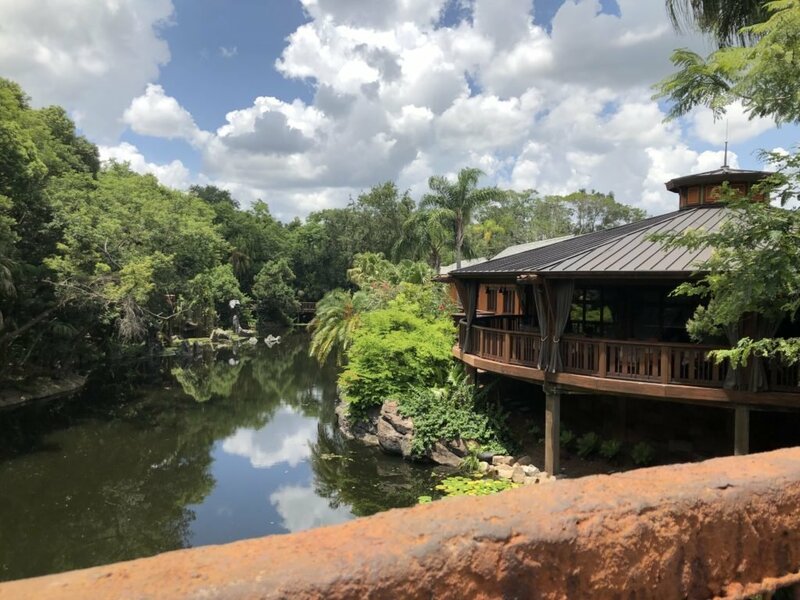 This is one of the most eagerly anticipated restaurants at Walt Disney World and is due to open in July 2019. 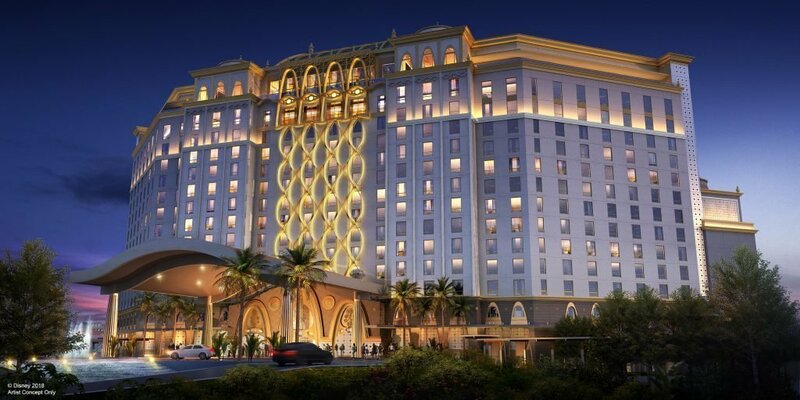 This new restaurant will be located at the top of Gran Destino Tower at Disney’s Coronado Springs Resort. Bookings are now open, and we have managed to obtain one for its first week of opening. Disney’s Riviera Resort is now accepting reservations. The latest resort at Walt Disney World and the 15th Disney Vacation Club property is scheduled to open in December 2019. Disney’s Riviera Resort is themed on the European Riviera and will include 300 family vacation homes and several new dining locations. You can find out more about the resort here. Preparations are underway for this year’s Epcot International Garden Festival. We visited last year and loved it! 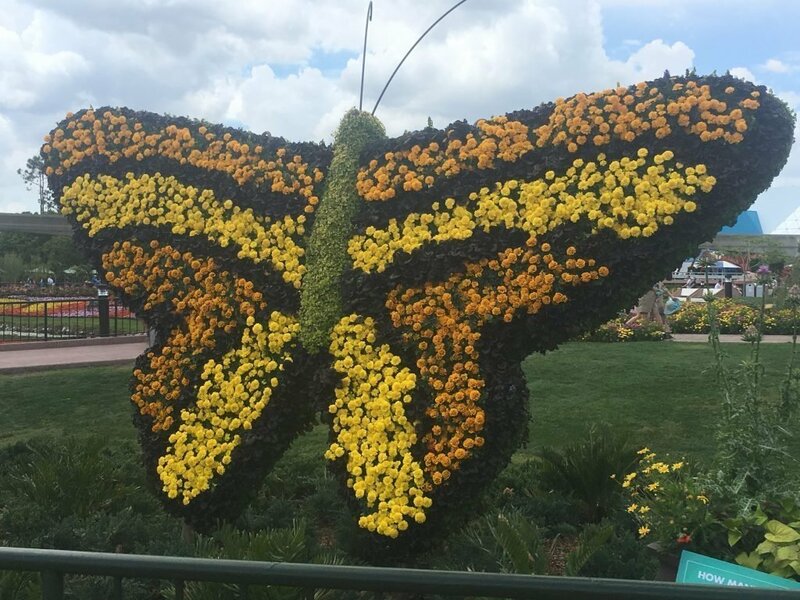 Click the link to our review of the Epcot International Flower & Garden Festival. The popular Garden Rocks concerts will now be held every night. Click to see this year’s lineup. Outdoor kitchens serving sensational food. If you are on the Disney Dining Plan you can use snack credits for the majority of dishes. Woody and Buzz Lightyear will welcome Bo Peep and her sheep to their Toy Story topiary. Plus, there are numerous other topiaries featuring your favorite Disney characters throughout the park. Spike’s Pollen-Nation Exploration family scavenger hunt will include new locations. we did this last year it isn’t easy! Breathtaking garden spaces and wildlife habitats, including a butterfly garden. The Epcot International Flower & Garden Festival is sensational. If you are visiting Walt Disney World when it is on don’t miss it. We will be back with another Walt Disney World News & Rumours update in March. If you have missed any of our previous updates you can find them all here.